Hey folks, check out the new Scoundrel additions and changes, and let us know what you think! My gun has disappeared a few times and I can’t pull cards past the 3rd card. Relog didn’t fix it but when I hard crashed, that fixed it. Can’t pull any cards either, only one rest was stuck, relog didn’t fix it as well, now trying the hard crash lol. Mad desync’s on logging in as a scoundrel still and Sometimes when entering new zones, Shots tend not to register on moving mobs. Scoundrel ultimate takes 10 shots to fill and yet still recharges when being used, The ult is extremely broken in PvP shots will just fly above a players head and spin around. I’ve also had it where I’ve desynced mid ult making me have a forever lasting aimbot that doesn’t work in PvP. Lastly the ultimate will target players not flagged for PvP. I’m bumping this since I plan to level this class to 30 and it’s not much fun without the buffs… still can no longer pull cards, first few are fine then it gets stuck at 3rd or 4th and that was it, nothing more to grab. Okay I’m planning to look into it tonight. 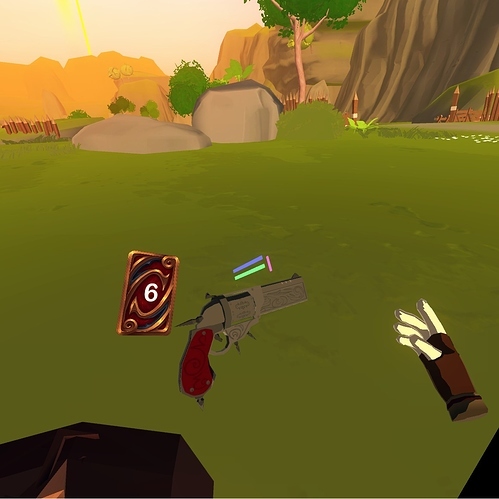 Could the card deck be moved to the right side when the gun is put in the left slot? It’s annoying having to reach over my gun every time I want to pull a card. Yes I will work on making that happen, makes total sense. After playing for a bit it does seem like scoundrel’s damage output feels kinda low now. Not sure what nerfs you made (If you made any) but getting out damaged by a paladin of the same level has me quite confused. 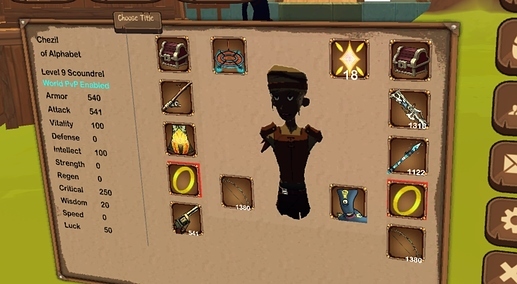 This was also with a weapon matching my current level. Hmmmm I’d have to go back and check but I don’t really think it got nerfed since last beta, and in fact with the talents and super factored in obviously it would be a significant buff. What level are you currently? Bumping the card freezing bug. The problem seems to be that the card deck becomes unresponsive to the player command. This has occurred at card deck values of 3, 4, and 6 for me. I am unable to pull a card while this bug is occurring. I can reset the deck by going to settings and selecting “go to graveyard” which fixes the problem. This issue does not seem to be related to a particular even such as entering combat or sheathing the weapon. I have only noticed this issue while in combat. Could be why, I was level 8 when I noticed it. I noticed after the Scoundrel super fix I never once got my super bar even 50% full. It felt like it was draining shortly after it started to fill up like a bucket with a hole in it. There’s no graphical indication that you’re firing a charged shot. It might be nice to have a bigger barrel explosion, or a thicker projectile. i have noticed a bug in highsteppe where i was able to grab my cards and throw them across the citown anyone else experance this? We pushed another patch, let us know if it’s good now. Regarding the cards issue, we’re looking into it and will hopefully get that fixed today. The bullet curve feature is cool, but for a small damage buff I saw people sitting there just missing for entire fights. Okay so I attempted to fix the frozen deck thing assuming it was something to do with the new “sticky” feature for holding stuff, if that didn’t do it let me know if you can exactly what you’re doing before it happens. I went through like 4 whole decks of cards and it didn’t happen for me so if it’s still occurring there must be something else going on besides just drawing the cards and using/burning them? Ill have to wait for a fix if I’m wanting to test out the scoundrel some more it’s getting to the point where I desync almost every fight mainly in PvP forcing me to run. Bullets start to no longer register on players/Mobs after the first few shots and being unable to draw cards or even use them active. However my gear setup is looking pretty meta.